Ladies, how many of you have suffered or currently suffer from PMS? Maybe it’s crippling cramps, emotional roller coasters, breast swelling, bloating or irregular bowel movements, or alternatively, maybe its an irregular period all together. Either way, there is a food that can significantly help with these symptoms: flaxseed. Often, PMS symptoms can be attributed to an imbalance of estrogen vs. progesterone, with estrogen being too high. This is called estrogen dominance. A couple of common causes of this are a low-fiber diet, as excess estrogen is eliminated in bowel movements, and an overloaded liver, as the liver is responsible for breaking down excess estrogen. Flaxseed contains a plant compound called lignans, which mimics estrogen in the body. In doing so, it binds to the estrogen receptors in the body, preventing true estrogen to bind, and therefore forcing the excess to be eliminated. The beauty is that flaxseed is also high in fiber, so it helps keep things moving as well! 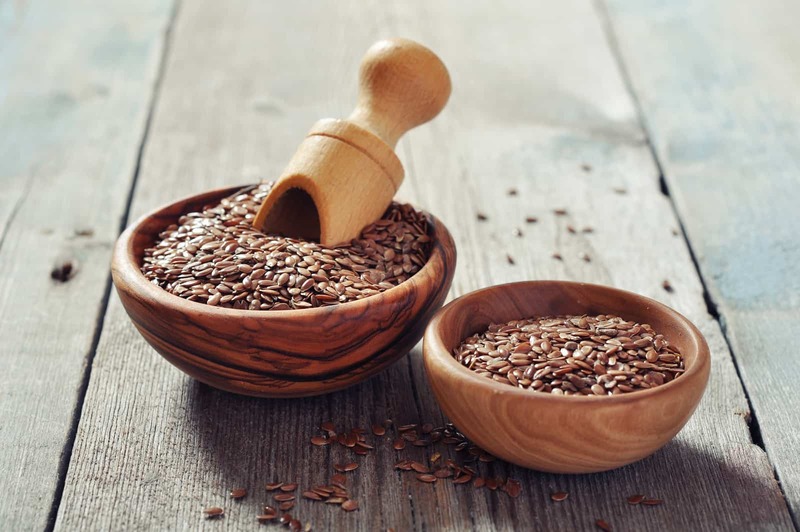 The nutritional benefits of flaxseed are best realized when the flaxseed is ground, not whole. If you buy the flaxseed pre-ground, make sure to store it in the freezer so it doesn’t oxidize. If you buy the flaxseed whole, you can grind it freshly each morning with a simple coffee grinder. In tea to ease digestion: here’s a recipe.